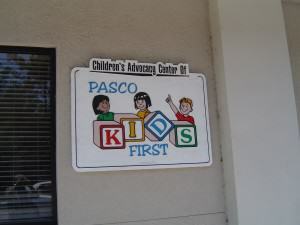 For directions to Pasco Kids First Children’s Advocacy Center the New Port Richey, please click on the map or the directions link above. 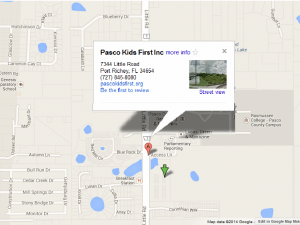 For directions to Healthy Families Pasco-Hernando – West Pasco Office in Hudson, please click on the map or the directions link above. 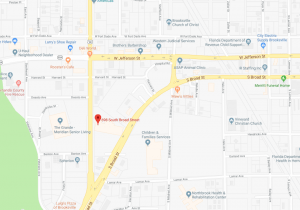 For directions to Trauma Treatment Team and Healthy Families Pasco-Hernando – East Pasco Office in Dade City, please click on the link above. 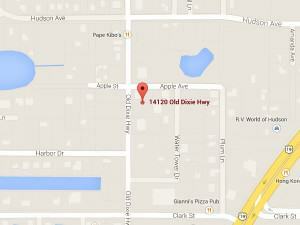 For directions to Healthy Families Pasco-Hernando – Hernando Office in Brooksville, please click on the map or the directions link above.